You are in a long term relationship, but not everything is going well. You really like this girl and want to make it work, but need some advice. These articles will help you with both relationship skills and how to deal with your insecurities issues. All so you can be the best partner you can be and keep the girl. 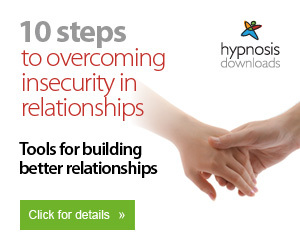 A self hypnosis course that will help you deal with the insecurities that have been plaguing your relationship. It contains ten self guided hypnosis sessions along with a comprehensive instructional PDF.